How do we help students work effectively with others from diverse cultural backgrounds? How do we help them understand the world? How do we prepare them for work and life in an era of globalization, volatility, and uncertainty? Empowering Global Citizens offers educators and parents compelling answers to those questions. The book is available in English, Portuguese and Spanish. 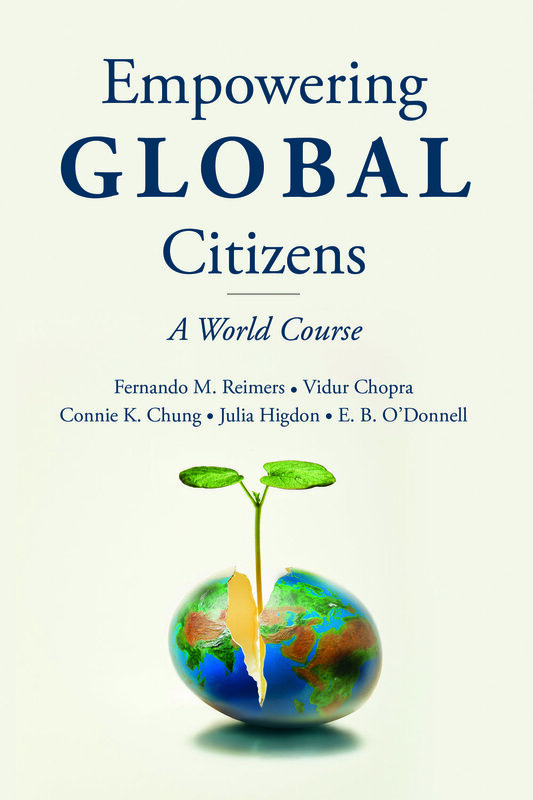 This book presents The World Course, a curriculum on global citizenship education designed to equip students with the competencies they need to thrive and contribute to sustainable development in an era of globalization. Drawing on curriculum mapping this book offers a coherent and rigorous set of instructional units to support deep learning of twenty-first-century competencies that develop agency, imagination, confidence, and the skills to navigate the complexity of our times. Drawing on a rich conceptual framework of global education, The World Course scaffolds the development of global competency drawing on project-based learning and other pedagogies that support personalization. The course expands children’s horizons, helping them understand the world in which they live in all its complexity from kindergarten to high school. This is done through learning activities at the zone for proximal development for each age group, with activities that foster student agency and a growth mindset.